We expand the traditional tax incentive redundancy argument by investigating the implications of targeting incentives primarily to firms that would have invested anyway. Incorporating government revenue constraints, pliable tax officials, endogenous tax liabilities, and firms with heterogeneous before-tax returns, we show that tax incentives, if given to the "wrong" firms, are not only ineffective in stimulating FDI, but may reduce it. 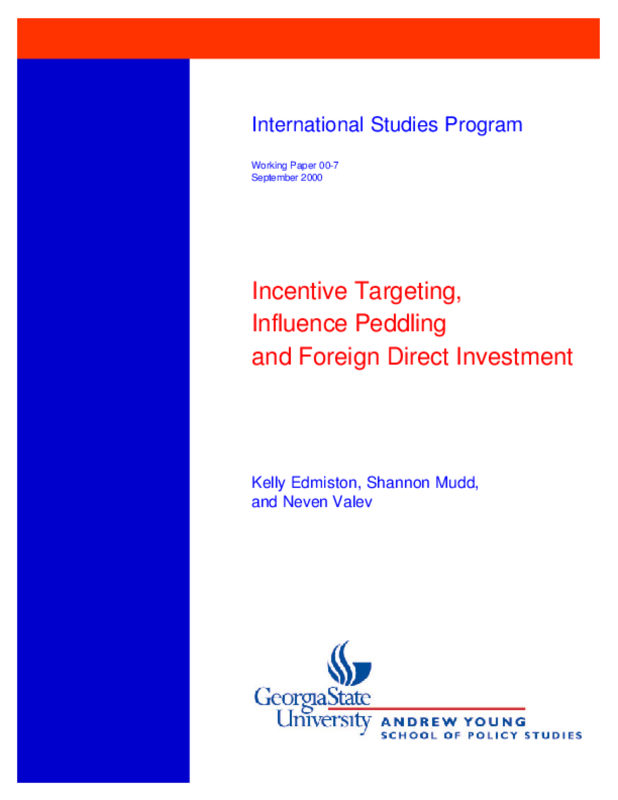 Data from countries of the former Eastern Bloc indicates that tax incentive schemes have significantly negative impacts on FDI in countries that poorly target firms.